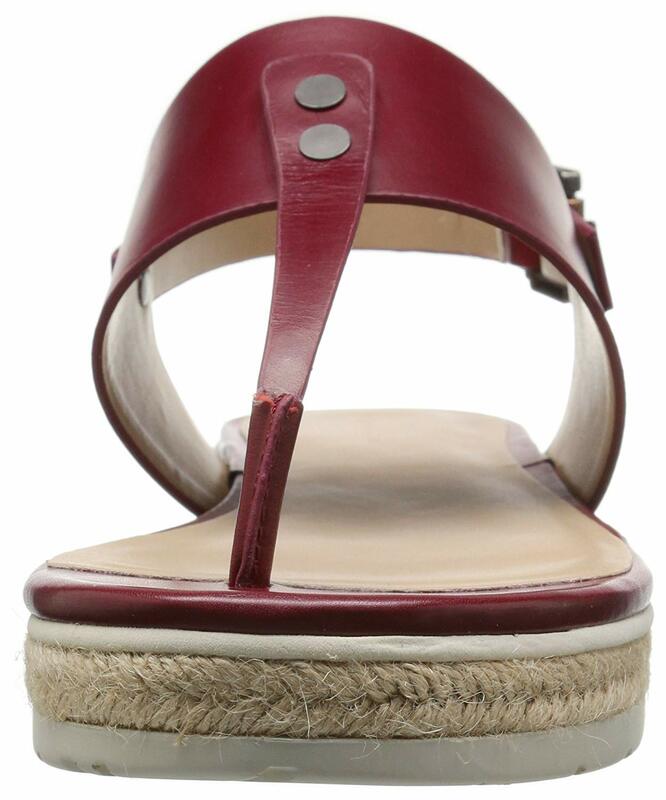 Espadrille thong sandal with leather upper Since the late 1960's, Calvin Klein the iconic American fashion designer has been designing sleek, minimalist clothing, shoes, tailored suits, coats, accessories and sports wear for both men and woman. Calvin Klein's footwear aesthetic embodies a classic yet fashionable modern design that is intricately crafted for comfort, durability and functionality. For the last four decades, his designs have become a household name among the high demanding fashion crowd that only settle for the best quality in shoes, clothing and accessories. With a wide range of footwear styles to choose from for both men and woman, his sleek dress shoes and pumps are still among the wear-to-work favorites. His minimalist flat sandals and heeled sandals complement every Spring and Summer outfit you choose to wear, and his flats will give your look an instant chic appeal. Calvin Klein's leather winter boots and riding boots are also the best option for your casual and sleek outfits to wear on your days off or on the weekends. The sleek and modern high heeled sandals are versatile enough to wear from day to night on any given day or for any given occasion or party. At our store, we carry a wide selection of Calvin Klein shoes with a large selection of sizes and wide width footwear styles. / Buy with confidence! Calvin Klein Womens footwear would make a great addition to your shoe collection!